It has been a very long time since I last crocheted. I saw some lovely wool in a local shop recently and just had to buy it and try it out. 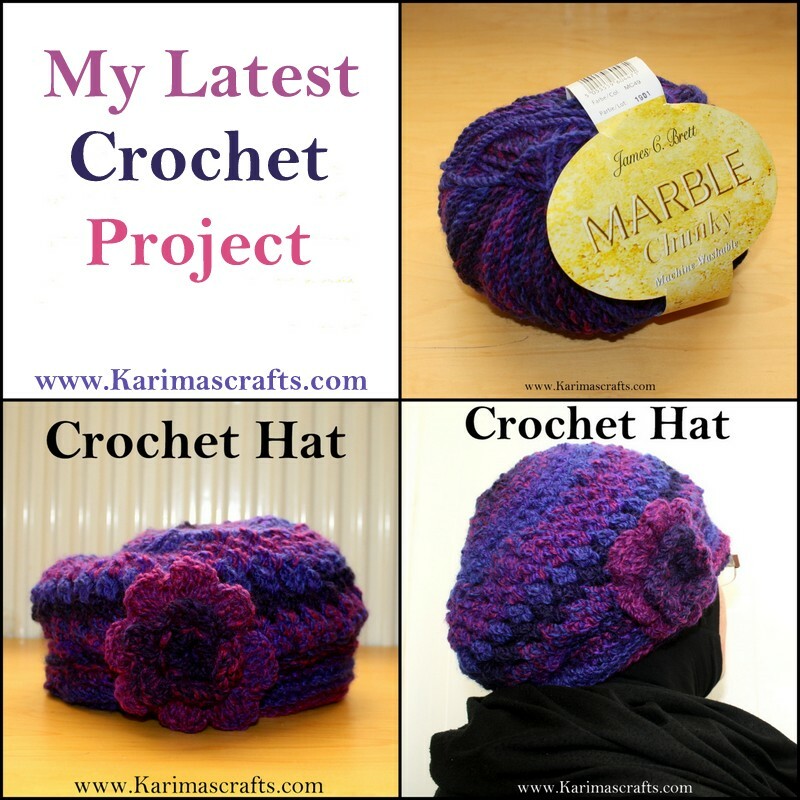 I decided to make a nice hat, one that would be big enough to slip over my hijab on the cold winter months! We did have some snow and cold days so I have already had the opportunity to wear it. As usual I didn't follow a full tutorial, I am a novice and start struggling sometimes with certain stitches and end up just making my own design! I did start off following a youtube tutorial for a man size slouchy hat, but then just changed the shape. I then added a crochet flower to the side using the same wool. I just looooove the colours.